What values should a media system serve? What role should the media play in a democratic society? What kinds of news and culture should media bring to audiences? 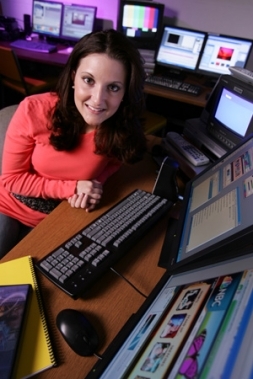 The communication and media studies program, consistent with Niagara University's mission, focuses on using the mass media to serve human needs. At Niagara, our goal is to produce graduates with media skills informed by a critical analysis of how media work and what purposes they serve.